Frank Bauer II is the CEO of Proguard Protection Services in Aspen Colorado. The company has a total of 23 employees, 11 of which are in the field. Frank realized Proguard had hit a ceiling of growth. New infrastructure was required to lift the ceiling in order to continue building the company. As luck would have it, Frank found simPRO. “Adding simPRO to my business has been one of the smartest decisions I’ve ever made.” Frank Bauer II, CEO. Proguard Protection Services. It wasn’t until Frank began to understand simPRO’s list of capabilities did he realize all the features he required from the software. Now, with simPRO firmly embedded into the business, Proguard’s field techs have direct access to data that they only dreamed of in the past; now it’s all on their phone. Historic data of each job and every client asset can now be accessed and updated in the field in real time. Add to that the ability to track travel time and time spent on site allows management to generate the kind of reports required to maximize efficiency and profits. Since implementing simPRO a year ago, the company has recorded significant figures in growth to the tune of 14% in sales, 6% in clients and more than 10% in their overall profit margin. Not to mention the means to employ an additional six staff. Thanks to barcode scanning, what used to take two people two days now takes one person less than one day. From five billable hours to seven hours per day per technician. From two full-time accounting staff to one, who now has time for other projects. Now with simPRO at the helm, Frank has the confidence to continue this rate of growth beyond the next 10 years. He can also continue to grow Proguard’s client base without having to increase administrative staff in the back office. In the old days, it wasn’t until a job was complete that Frank would know how much money had been made on the job, or if there was any profit at all. That’s a stark contrast to today where simPRO reveals the profitability of each project in real time. Figures are adjusted accordingly as the project progresses. If you’re still using Excel to calculate sales proposals or generating timesheets in Word, if you’re still using a series of disconnected software to manage your infrastructure - it’s time you looked to simPRO. The overall biggest benefit for Proguard has been the newfound cohesion within the team. The end result as a business owner has been the ability to spend time with his family, to take vacations and to know that the business continues to grow even while he’s away. Proguard Protection Services is committed to excellence when it comes to protecting your family and securing your home or office. 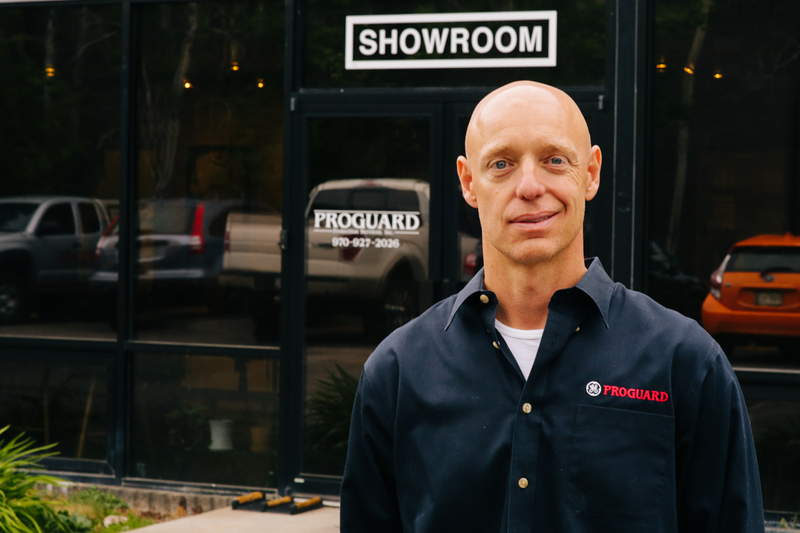 Family owned and operated since 2001, Proguard is the Roaring Fork Valley’s leader in electronic security products and systems integration.